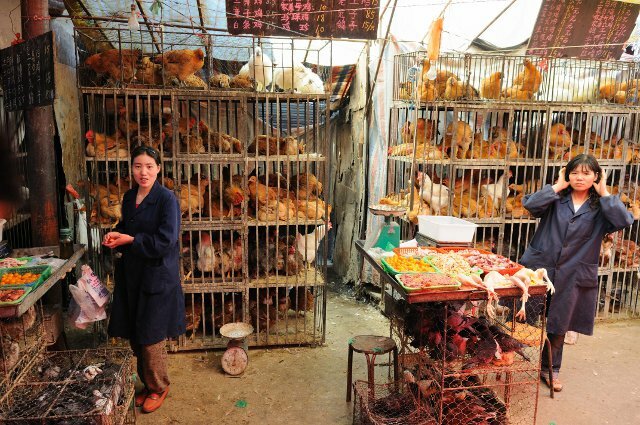 Back in 2003, four people got sick and died from the H5N1 strain of bird flu in China. And that wasn’t the last time either. Every few years, new cases reappear and around 60% of the infected people die. Meanwhile, even when it isn’t infecting people, the bird flu continues to percolate in all sorts of domestic and wild birds, spreading and evolving. Millions of birds have died from the disease and millions more have been slaughtered, with the latest outbreak being in Japan where they’ve just killed 112,000 chickens. Ever since it first appeared, scientists have worried that the bird flu would turn into a pandemic similar to the Spanish Flu that killed somewhere between 50 and 100 million people at the end of World War I. For now, the fact that it only spreads from birds to people has kept this deadly disease in check. But as a new study in the leading journal Cell shows, this protection may not last forever. 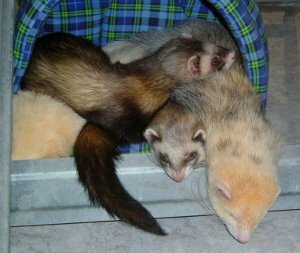 In this study, the authors find that it takes just five small changes in the virus’ genetic material to make it able to spread from one ferret to another. While the changes may not be the same ones to make a virus able to spread between people, odds are that a similarly small set of changes will be all that is required. A search of all the viruses sequenced to date showed that a few of the necessary mutations are already out there in the wild. This means that while the odds are low that one virus would get all five changes, they are not zero. One day, a virus may appear in nature with all five changes. Luckily for us (and the ferrets), when this virus does mutate so it can spread from ferret to ferret, it becomes much less deadly. Doses that easily wiped out a ferret now have little or no effect. This is pretty common in the viral world—there is a tradeoff between deadliness and the ability to spread. Of course, there is no guarantee that the virus will be less deadly if it mutates to spread from person to person. And it may not have to be to still kill a lot of people. As I said, right now the virus is killing around 60% of the people it infects. The Spanish flu only needed to kill 10% of the people it infected to wipe out somewhere between 3 and 6% of the world’s population. So even if a version of the bird flu evolved to both spread between people and be six times less deadly, it could still be devastating. Research like this is critical for monitoring the virus out in the wild. By identifying the changes that can cause the virus to be able to spread from person to person, we can keep a close watch on things and quarantine people if a virus ever does stumble on the right set of mutations. But research like this is also controversial. The second concern is that the wrong sorts of people may be able to use this freely available information to make an artificial virus to use as a weapon. This isn’t very likely either but is definitely possible. The researchers created a virus that could spread between ferrets on a machine in a lab which means other people might be able to do this as well. This capability has really only become feasible in the last few years. It is important to keep in mind that the viruses that have been made so far may pose little risk to people or even ferrets. But if they did get out, it might only be a matter of time before they build up the mutations they need to spread between people and then we may be in real trouble. 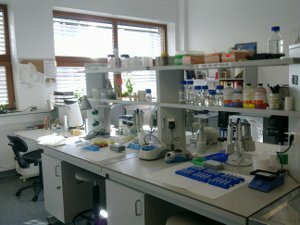 These escaped or engineered viruses would have a head start which makes them more likely to stumble on the set of mutations that makes them lethal and highly infectious. The government decided back in 2012 that this sort of research was OK if done with the right safeguards in place. They argued that the benefits of being able to nip a pandemic in the bud outweighed the risk of the research causing a pandemic on its own. So far this has turned out to be true.